Howard Reiss - Mediator & Arbitrator based in New York, New York. If you’d like a list of available dates for Howard Reiss, please submit a request below. You will hear back directly from Howard's assistant, Karen Blaine. Has served as an arbitrator in excess of 200 matters over the past 25+ years for the American Arbitration Association as a sole arbitrator, as a panel member, and as chairman of the panel. These include, among other matters, a lengthy hearing involving two Fortune 100 companies concerning the alleged breach of a drug fulfillment contract that involved claims in excess of $100M; a lengthy hearing concerning an alleged fraud in the purchase of a large corporation that raised numerous accounting and valuation issues; a lengthy hearing involving a Fortune 100 company over a supply contract with respect to power generation involving claims in excess of $50M; a lengthy hearing involving a Fortune 100 company concerning patents claims in excess of $50M, which involved extensive discovery and motion practice; a lengthy hearing involving a dispute with an international franchisor and a large franchisee, which included a hearing on a motion for a preliminary injunction; a lengthy hearing involving a large acquisition by a publicly traded company; a hearing involving compensation under FIFRA; a hearing involving a group of single room occupancy hotels in New York City; a hearing involving a large design contract; a hearing concerning the breach of a large event contract with respect to the Superbowl, a number of hearings involving publication rights and insurance coverage with respect to directors and officers liability, as well as other claims; a hearing involving the management contract of a well known performer; hearings involving securities including claims with respect to mergers and acquisitions, stock valuations,appraisals, misrepresentation, and fraud; a hearing involving a partnership dispute with respect to a chain of retail stores; a hearing involving the break-up of a computer service company; a hearing involving a Fortune 100 company concerning franchise and intellectual property rights; a hearing concerning computer programming; a hearing concerning television stations and amusement facilities; hearings involving partnership breakups involving law firms and other business entities, as well as their valuations; and in excess of 150 other disputes on a wide variety of subjects. 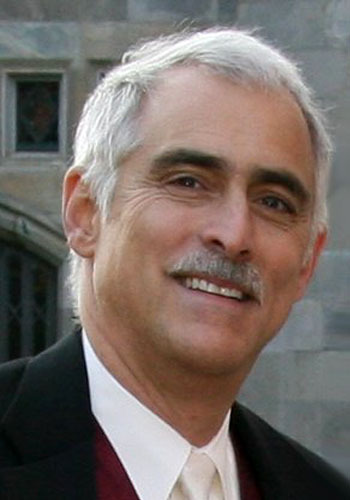 Has also served as a mediator in numerous matters for the Southern District of New York, the New York County Supreme Court, and the American Arbitration Association, both with regard to domestic and international disputes,as well as private mediation involving Fortune 500 companies. Matters mediated have included a dispute between the Federal Government and the City of New York, a dispute involving a national sports league and a dispute involving a national retail chain. In addition, has been selected to the Panel of Mediators and Arbitrators for the Liberty Mutual Hurricane Sandy ADR Program being run by Ken Feinberg, and as a mediator for the Superstorm Sandy Panel being run by the AAA. Have also represented parties over the years in numerous arbitrations and mediations.